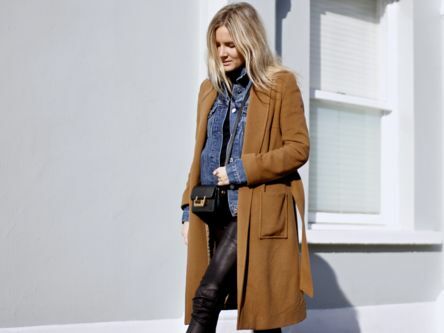 The gorgeous and stylish Lucy Williams, aka Fashion Me Now gives us advice on blogging, her must-have Aspinal bags and what she's looking forward to at London Fashion Week. How did you get started in the blogging arena? It started as a sort-of mood board while I was interning at magazines and I just posted snippets of stuff I liked and was inspired by. It gradually evolved to become more personal and include style posts and now it combines lots of travel and bits of pieces of food, beauty and lifestyle with fashion. What do you love about London Fashion Week? Seeing lots of friendly faces between the shows for catch-ups and getting to go home to my own bed at the end of the day! What Aspinal bag would you love to take with you to shows? I'd go for the Letterbox Saddle Bag in Black. Roomy enough for tickets and schedule but you can wear it across your body to keep things easy and hands free. What do you think is so special about fashion in London? There's always room for new talent and fresh perspective. Casual, a bit tomboyish and always a bit undone. What do you think is a must have Aspinal item? The Essential Tote is so classic and the kind of thing you'll wear for years. Great for hand luggage too. Work hard, stay true to yourself and try not to compare yourself to others. Essentially people want to read lots of different blogs because they're just that... It would be incredibly boring if we were all the same.